Hydrostor’s Angas Project is Australia’s first Advanced Compressed Air Energy Storage (A-CAES) facility. Electricity from the 5 MW, 10 MWh emission-free plant will be dispatched into the National Electricity Market (NEM) to provide flexible capacity and synchronous inertia. This will support grid security and reliability, while enabling the integration of Variable Energy Resources (VERs)such as solar and wind. Successful deployment of the Angas A-CAES Project may open up opportunities throughout Australia for the build-out of full-scale (50+ MW), long-duration (4-24+ hours), long-life (50+ years) projects, adding clean energy capacity and boosting reliability of power supplies across the NEM. A-CAES uses electricity to run a compressor, producing heated compressed air. Heat is extracted from the air and kept inside a thermal store, preserving the energy for later use. Compressed air is stored in an underground cavern, which is kept at constant pressure. 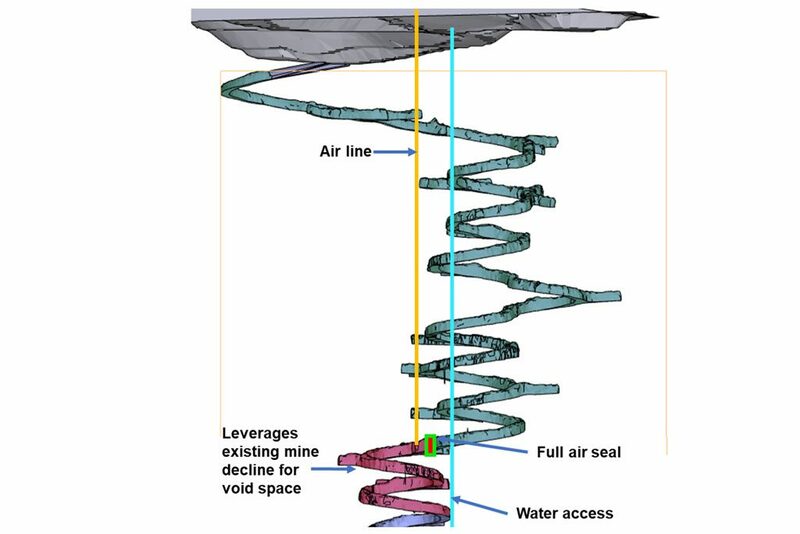 On charge, compressed air displaces water out of the cavern up a water column to a surface reservoir. On discharge, water flows back into the cavern forcing air to the surface where it is re-heated using the stored heat and expanded through a turbine to generate electricity. Hydrostor’s innovations represent an important paradigm shift in CAES technology and long duration bulk energy storage. 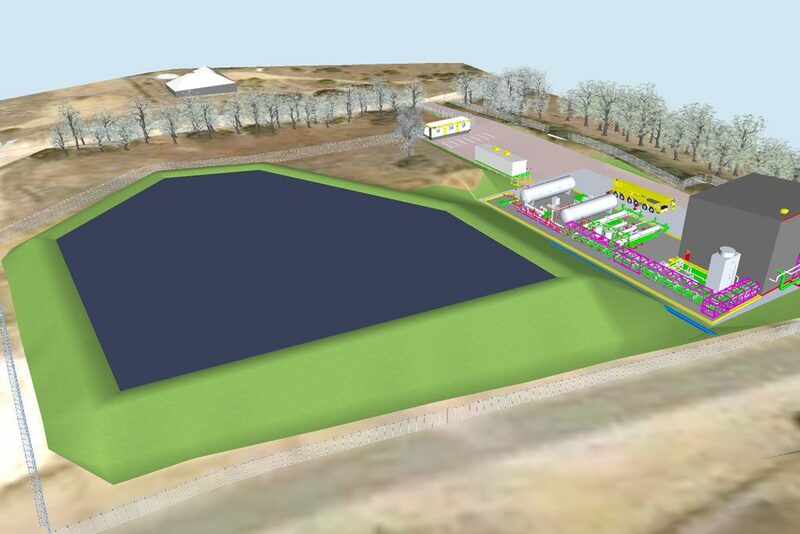 Hydrostor’s emission-free A-CAES solution can be flexibly located where required on the grid. It is also deployable at both greenfield and brownfield sites, and offers a compelling, low-cost alternative to geographically-constrained bulk energy storage technologies, such as pumped hydro. A-CAES combines well-established mining techniques with proven mechanical systems, representing a simple, bankable solution, which also has the ability to replace retired fossil plants, repurpose existing mining infrastructure, and defer the need for new transmission. The project will support grid security and reliability, while enabling the integration of variable renewable energy (e.g. solar and wind). Located at a mine near Adelaide, the facility will repurpose underground infrastructure as the A-CAES system’s air storage cavern. The project benefits the local community by converting a brownfield site into a clean energy project that drives economic development, including cleantech jobs and skills development. More broadly, the project demonstrates the potential for large-scale A-CAES to replace retiring fossil assets and integrate renewables, supporting grid reliability and emissions reductions. Greg Allen, Managing Director, Hydrostor Australia Pty Ltd.